[vc_row css_animation="" row_type="row" use_row_as_full_screen_section="no" type="grid" angled_section="no" text_align="left" background_image_as_pattern="without_pattern"][vc_column width="1/2"][vc_empty_space][vc_gallery interval="3" images="16822,16823,16824" img_size="full"][/vc_column][vc_column width="1/2"][vc_empty_space][vc_column_text]ThermalSafe® is a composite panel with a core made from non-combustible structural mineral wool boards. The panels have one-, two- and three-hour fire resistance ratings under the most demanding conditions. ThermalSafe® mineral wool panels are ideal for industrial buildings, including manufacturing plants, auxiliary buildings at refineries and others at risk for fire building installations. Warehouses of all types are also a great structure for mineral wool panels, where they can be installed as exterior fire resistant separation walls or as fire partitions and barriers inside tilt-up buildings that contain multiple tenant leased space. High occupancy structures like sports arenas and gymnasiums and food processing facilities are also well suited for the ThermalSafe® profile. 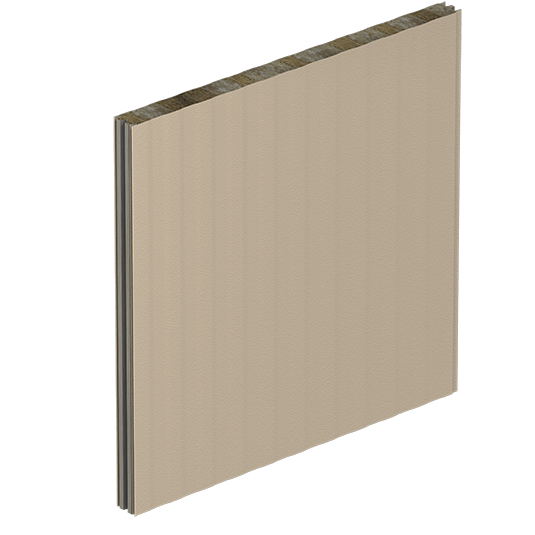 ThermalSafe® is a composite panel with a core made from non-combustible structural mineral wool boards. The panels have one-, two- and three-hour fire resistance ratings under the most demanding conditions.